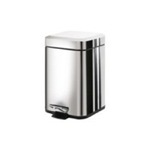 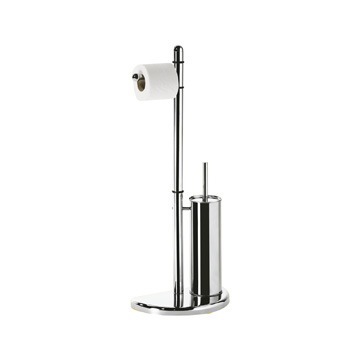 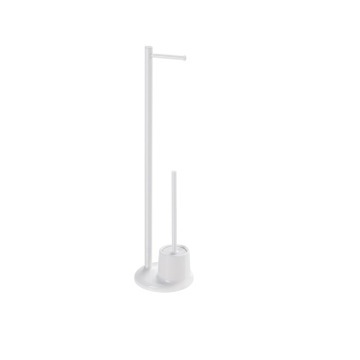 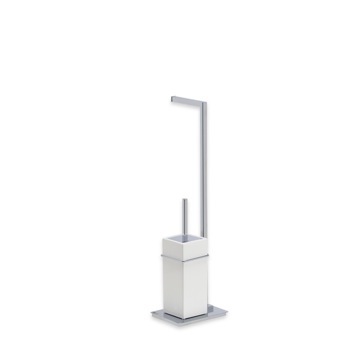 Organize your bathroom in high style with the sleek and modern look of this floor mounted toilet paper holder and toilet brush holder combination in bleaming chrome. 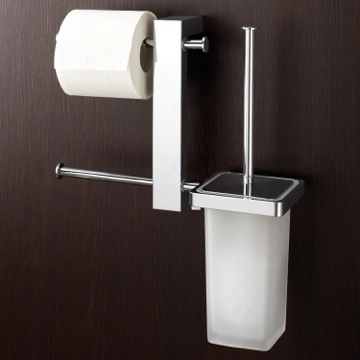 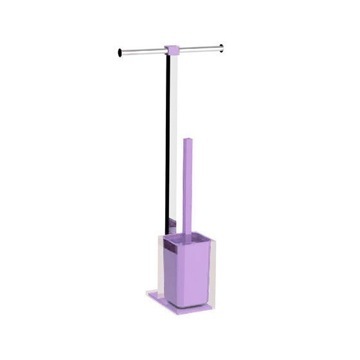 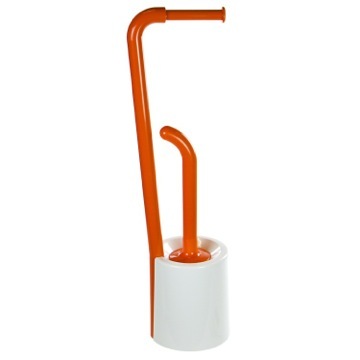 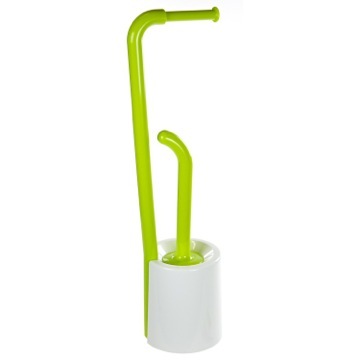 Simple styling and contemporary design elements make this toilet paper holder combination toilet brush holder look more like a work of art than the functional item that it really is. 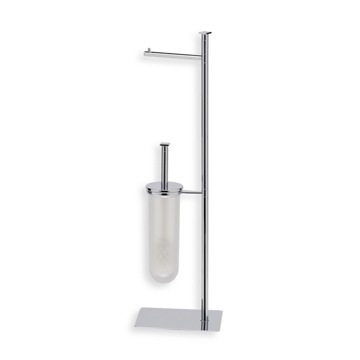 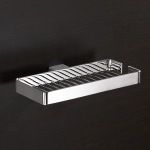 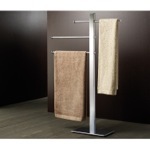 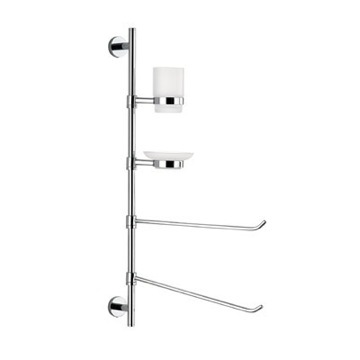 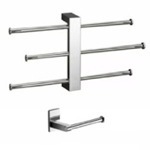 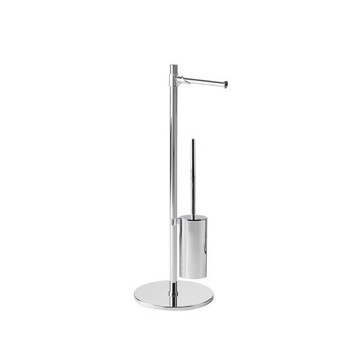 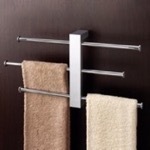 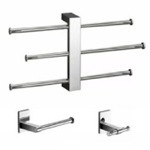 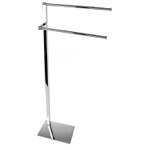 This polished chrome floor mount towel rack is ideal for contemporary bathrooms. 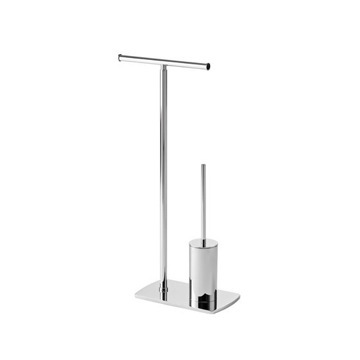 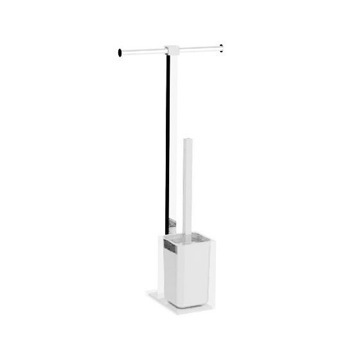 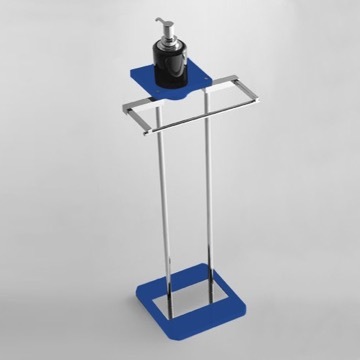 Free standing contemporary style bathroom butler. 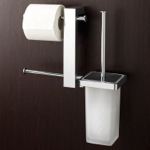 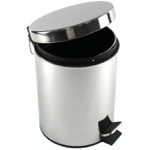 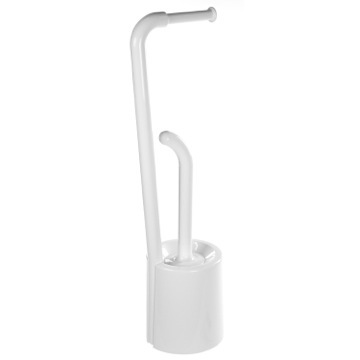 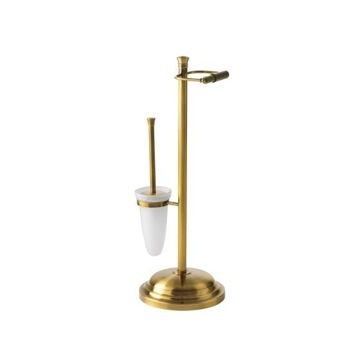 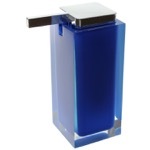 Decorative bathroom butler contains 2 toilet roll holders and toilet brush holder with bristle brush. 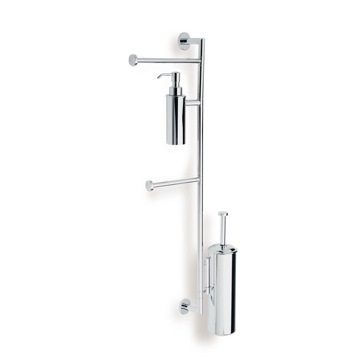 Shower butler made out of stainless steel and brass with a polished chrome finish. 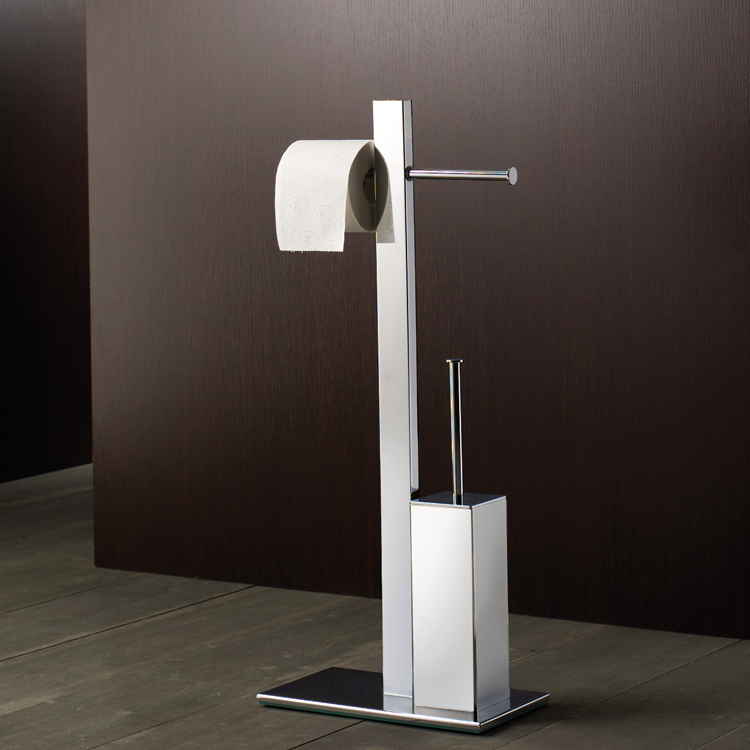 Made in Italy by Gedy.